JUST LISTED - Beautiful updated Top Floor 1bedroom/1 Bath with den condo. The den is currently being used as a nursery, but could be used as an extra bedroom or guest space, office or excercise space. The unit has updated carpet, New Stainless refrigerator, stove and microwave. New replaced Hot Water Heat er. New HVAC system and Nest Thermostat, New flooring in kitchen and in bathroom. The dining room and living room have a vaulted ceiling that really open up the space. The master bedroom walk in closet is updated with a closet organization system to keep everything in it's place. There is a fireplace in the living room and sliding glass doors to a nice balcony. The community has been updating the exteriors of the building and updated the clubhouse which has an exercise room, events room and there is an outdoor pool to enjoy. The location is a fantastic commuter location being so close to route 7 & 28. 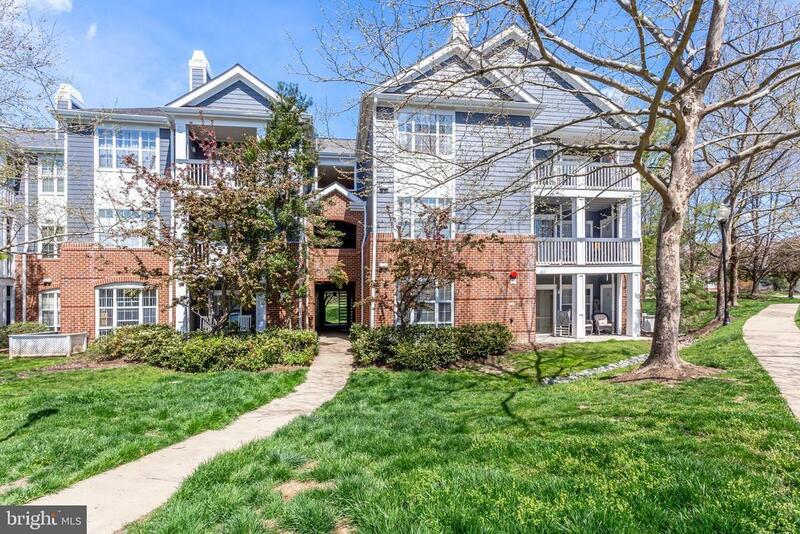 You are also within walking distance to One Loudoun that has Alamo Movie Theatre, Trader Joes, lots of restaurants and shops. WELCOME HOME!